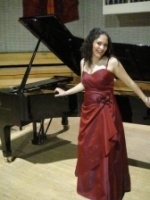 A wonderful concert together with TRNC soprano Laden Ince to open the Spring Season on 3 March 2014 at 20:00 hrs. 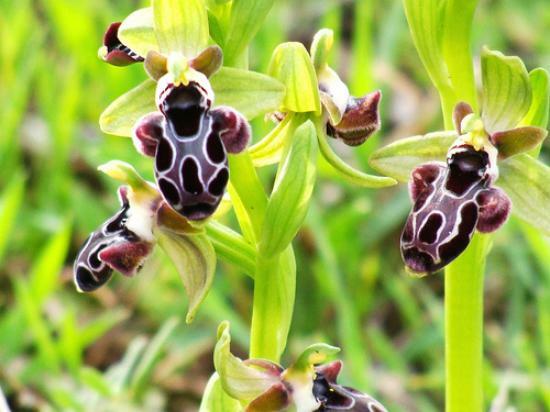 The endemic orchid ‘Ophrys kotschyi’ is known to lure insects and orchid lovers alike to Cyprus and in this case we owe her the visit of the renown and highly respected chamber orchestra ‘Capriccio Fridericiana’ with 13 members, playing eight violins, four violas, one bass and the trumpet from Karlsruhe. It was on the occasion of a visit to Germany and a Tourism fair which Mrs Irene Raab Marancos from Kaleidoskop Travel Agency was attending for North Cyprus, that she spent a lovely evening at a concert with the above orchestra. Through a common friend and orchid lover she met the orchestra chef and his wife Mr and Mrs Heitz, and over a dinner they got deeply involved in the mysterious world of orchids. Thus Mrs. Raab who is known as an activist in many fields concerning the culture and nature of Cyprus, invited the Orchestra to North Cyprus to open the Spring Season in Bellapais with a concert and together with Kıbrıs Piyano Dernegi/Cyprus Piano Association and its piano students they would share the duties of organisation. I have read the programme, it promises to be a very special music event we should not miss, an event organized by music lovers for music lovers, a musical delicacy, also by the inclusion of our young opera singer, the soprano Laden Ince, into the programme. It is of particular concern to the organisers to see as many music students at the concert because it is of high importance to listen to as many musicians as one possibly can as part of the process of learning. -Wolfgang Amadeus Mozart (1756 – 1791) „Eine kleine Nachtmusik“. Tickets will be available at Bellapais Office, Deniz Plaza Shops, Bestseller Bookshops, Kybele Restaurant and at the entrance. The benefits will go to Cyprus Piano Association. For more information please call 0392 8151818. See also my interview with Laden Ince on this website under Cyprus Art News.